Fang Shishu, landscape — Sydney L. Moss Ltd.
One seal of the artist: 方士庶印 Fang Shishu yin. 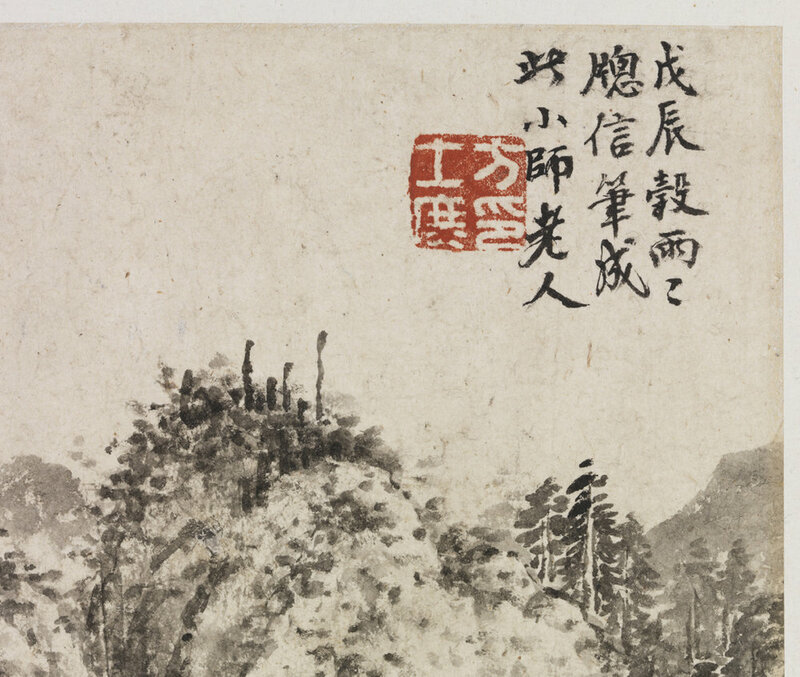 An album leaf mountain landscape, ink on paper, dated in the wuchen year (1748). Painted area: 27 x 31 cm.